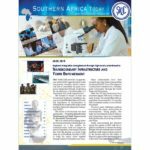 The Southern African Development Community (SADC) is reviewing its organisational structure to ensure that it adequately responds to new and emerging issues in the region’s revised development blueprint. 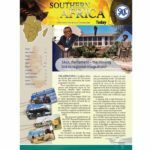 The Revised RISDP 2015-2020, which was approved at the same Extra-Ordinary SADC Summit in Harare, among other things, frontloaded the implementation of the industrialisation agenda for southern Africa. Priority A of the Revised RISDP seeks to promote industrial development and market integration through, among other things, strengthening the productive competitiveness and supply side capacity of member states as well as improving movement of goods and facilitating financial market integration and monetary cooperation. Outgoing chairperson of the SADC Standing Committee of Senior Officials, Dr Taufila Nyamadzabo said work on the SADC Secretariat organisational structure is at an advanced stage. “It is upon us as senior officials to provide guidance in order to ensure that a comprehensive organisational structure is established within the SADC Secretariat,” said Nyamadzabo, who is the Secretary for Economic and Financial Policy in Botswana. Director for human resources and administration at the SADC Secretariat, Russel Mufaya said the SADC Council of Ministers approved the terms of reference for consultants to review the Secretariat’s organisational structure and institutional infrastructure. “Through a competitive selection process Ernst & Young was engaged in April 2016 to undertake the SADC Secretariat Organisational Structure and Infrastructure Review,” Mufaya told journalists on the sidelines of the meeting of SADC Standing Committee of Senior Officials ahead of the 36th Summit of SADC Heads of State and Government set for 30-31 August in Mbabane, Swaziland. He said the consultants commenced work in April and “their first draft report will be considered by Council (of Ministers)”, which will meet prior to the 36th Summit of SADC Heads of State and Government. 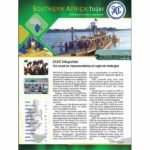 The integration agenda of southern Africa hinges on the effectiveness of the SADC Secretariat to coordinate and implement regional programmes aimed at promoting socio-economic development. Headed by an Executive Secretary, the Secretariat is the principal executive institution of SADC, responsible for strategic planning, facilitation and coordination and management of all regional programmes. 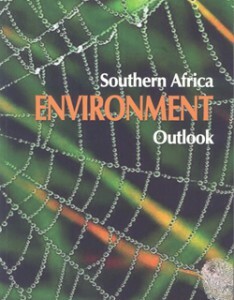 The SADC Secretariat is based in Gaborone, Botswana. Under the present structure that was approved in 2008, the SADC Executive Secretary has two deputies, one for Regional Integration and another for Finance and Administration. Human Resources and Administration – provides and supports the operations of SADC Secretariat through the management of human resources, procurement of goods and services, and management of physical assets. The SADC units include Gender, which is tasked with mainstreaming gender perspectives and concerns in all SADC policies, plans and programmes.